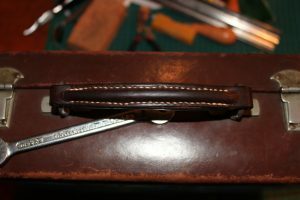 Here at Evancliffe Leathercraft we can also give your old leather goods some TLC and help them last for many more years to come. We are also often asked to repair relatively new leather goods that have failed in some way. 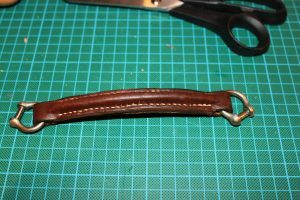 Repairs range from simply re-stitching a piece of leatherwork to making replacement leather pieces and / or sourcing replacement fittings. At Evancliffe leathercraft we believe in hand stitching, so even if you bring a machine stitched item to us we will carefully repair it by hand ensuring the work we complete will last. We will also try and match as closely as possible the materials used. 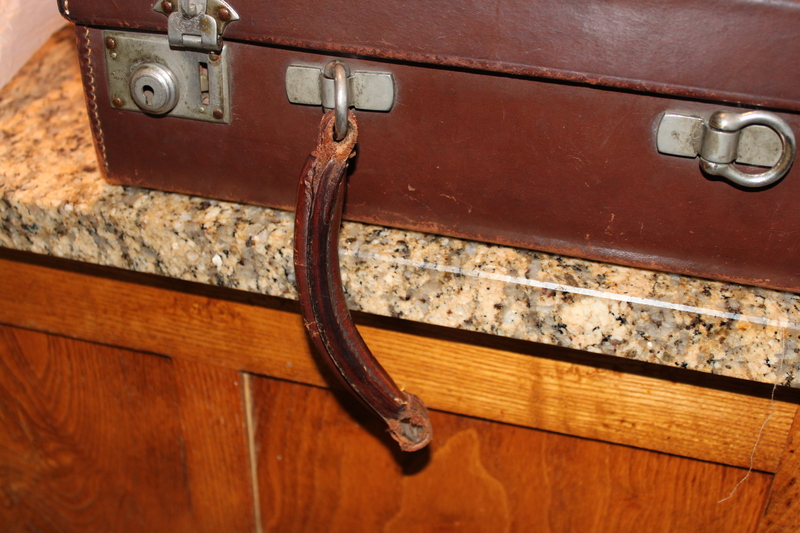 The new handle featured on this page was constructed from Veg Tan Leather and used components from the original case handle including the original rope used inside it, used to form the shape, and the original “D-Rings”. We matched the colour as closely as possible to the colour the handle had become during use and finally stitched it together using similar coloured thread. This is just one example of the many repairs we have carried out for customers.